Launched in 2015, the Longines Symphonette was imagined as a contemporary interpretation of the elegance dear to the Swiss watchmaking brand. The unique oval line of the cases, the sophisticated meshing of the bracelets, the refined dials of the various models are like as many notes combining in perfect harmony. 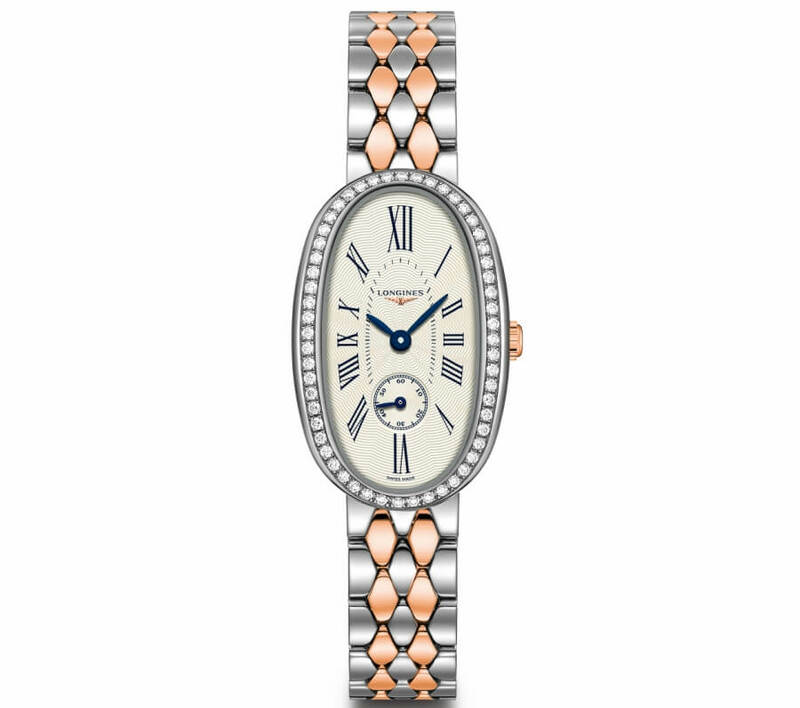 Today, Longines is introducing new models blending rose gold and steel that enrich the collection. 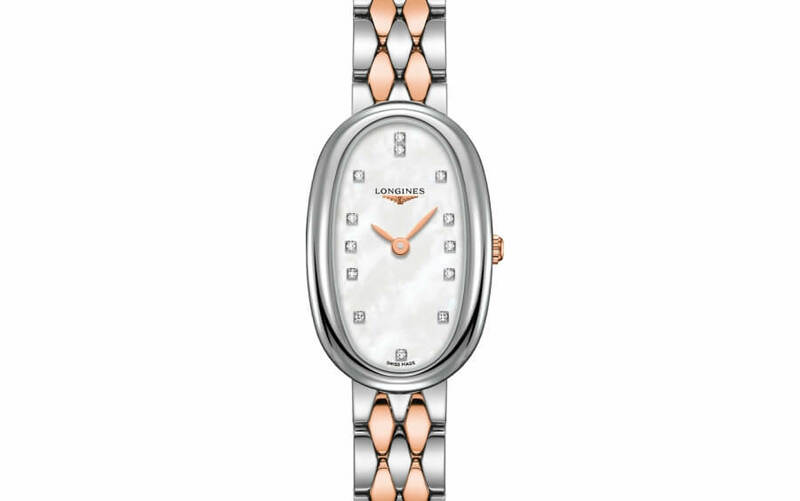 Today, Longines is introducing new variations using rose gold and steel that remain as modern and bold as ever. The solid rose gold crown and touches of pink on the dial match the bracelet that intertwines steel and a rose gold cap. The brightness of the steel, gold and diamonds enhances the refinement of the dials, while the finely wrought bracelets add the overall final touch. 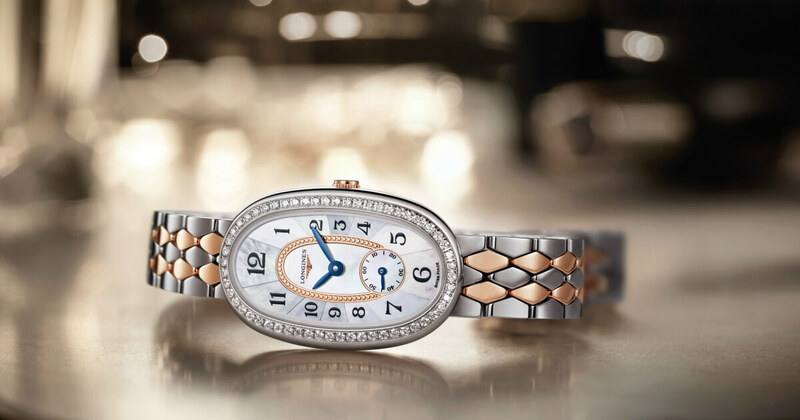 Available in two sizes (18.90 x 29.40 mm and 21.90 x 34 mm), the steel and diamond-set steel oval cases of the Longines Symphonette house a quartz movement. The water resistance is up to 3 bar (30 metres). A silver-coloured “flinqué” dial adorned with Roman numerals, a white mother-of-pearl dial enhanced with diamond indexes or a white inlaid mother-of-pearl dial with Arab numerals, all decorated with a rose gold hourglass, adorn the models in this line. These pieces are mounted on steel bracelets and rose gold cap featuring sophisticated meshing.